Saturn’s Enceladus: Part 2 –Does it Harbor a Vast Underground Ocean? 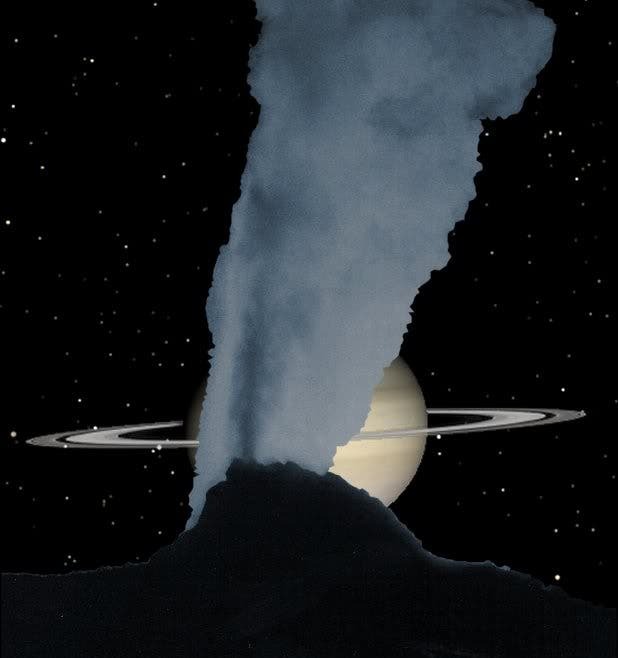 NASA and ESA researchers have been debating whether Saturn's tiny moon, Enceladus, harbors a vast underground ocean. Evidence gathered by the Cassini Space Probe suggests that Enceladus has an ocean that is probably seltzer-like and could prove be a microbial life hotspot. "Have you ever been sprayed when you popped the top of a soda can?" asks Matson. The model he and his colleagues propose suggests that gasses dissolved in water deep below the surface form bubbles. Since the density of the resulting "sparkling water" is less than that of the ice, the liquid ascends quickly up through the ice to the surface."